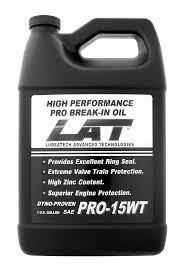 LAT’s Break-in Oil is blended from high end base oils. 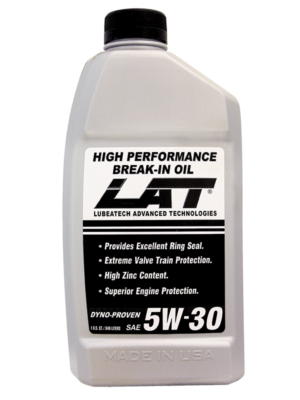 Designed to provide maximum performance and protection during your engines most critical time, the break-in period. Pro 15 not only coats all moving parts, but is specifically designed for maximum protection of key contact points including lifters to cam, main bearings to crank, piston skirts, ring and sleeves. 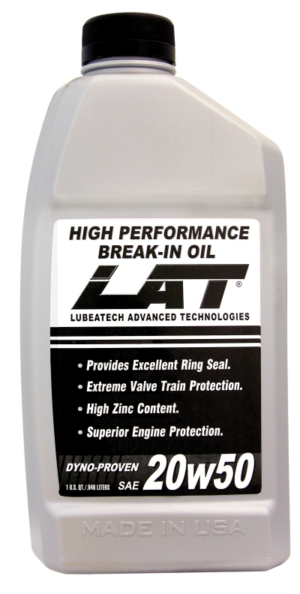 Using high levels over 2800ppm zinc and our exclusive LFR additives promotes excellent ring seal, and minimizes blow by.